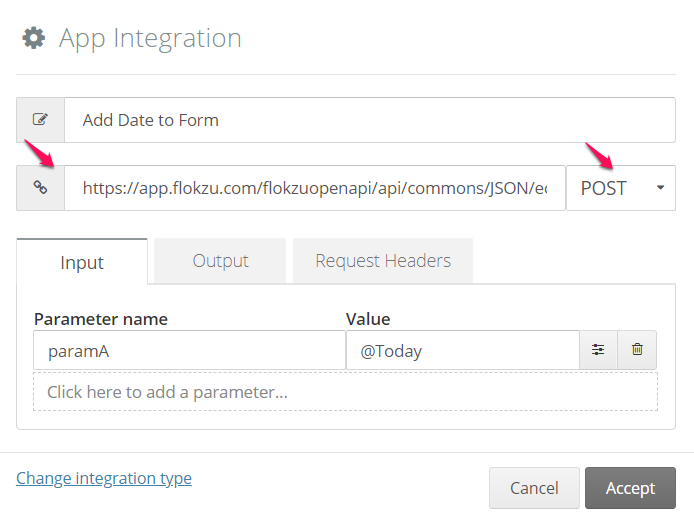 In Flokzu you can add the creation/start date of a form automatically using our Web Service Echo. Place a Date type field in your form. 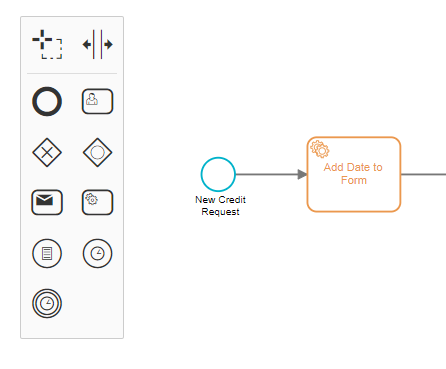 Add a Service call task in the workflow of your process and select Web Service REST. In this example we will call the task &apos;Add Date to form&apos;. Input: Select an input parameter (e.g. &apos;paramA&apos;) and &apos;@Today&apos; as value. Output: Select the parameter previously chosen as output parameter and the Date field (e.g. &apos;Creation Date&apos;) as value. Headers: Select &apos;Content-Type&apos; as parameter and &apos;application/json&apos; as value. The result is that after you submit the initial form, today&apos;s date will be added to the date type field you have included in your form.